There's something wrong with your diesel engine—you can feel it (or maybe see or smell it)—but you can't quite figure out what it is. If you have any of the following issues with your engine, there's a chance you might have a problem with your fuel injectors. There are, of course, other failures that could cause some of these problems, but you shouldn't rule out the possibility that your injectors are failing. Read on to learn some common signs of failure, as well as common causes of diesel injector failure. We also released a video that details some things you can watch for. A lot of these issues have to do with the amount of fuel being delivered to your engine. If the pressure or timing is affected even slightly, you'll notice a decrease in the quality of your overall engine performance. Sometimes the problem can be solved simply cleaning your injectors or replacing some injector seals, but other times the failure is so extensive that you'll have to replace your injectors, and possibly other components of your fuel system as well. Sometimes you don't really notice the decrease in fuel economy right away, or that your engine isn't quite as powerful as it used to be. This could be because the problems come on gradually, due to the steady wear on your injectors as part of normal engine usage. Because so much fuel goes through the injectors at such a high pressure, it causes your injectors to wear over time. Combustion is a delicate process, and if the timing is off even a little bit, you can lose engine efficiency and power. Poor injector timing affects when fuel is injected into the cylinders, and can involve more parts than just the injector itself, depending on what type of fuel system your engine has. It is possible for an injector to blow a tip. This is most frequently caused by air or water contaminating the fuel and affecting the pressure buildup. 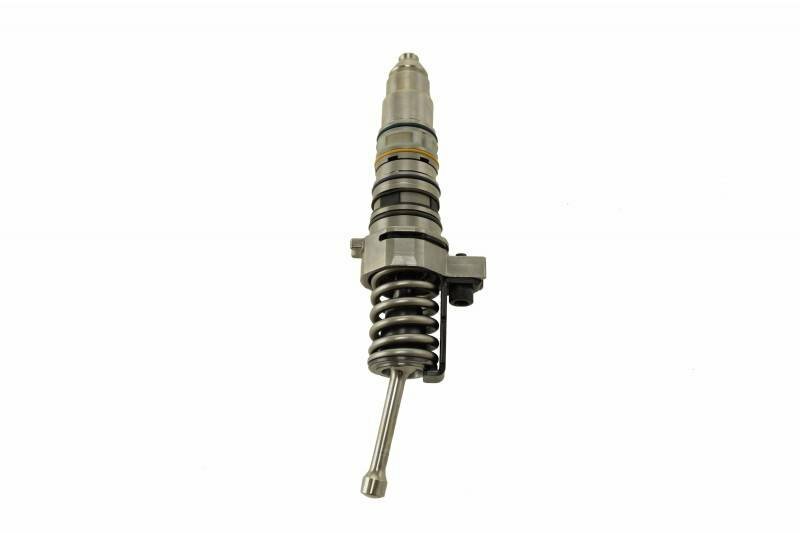 Some injectors are more sensitive to contamination than others, namely the common rail injectors, so it's important to not only diagnose the blown tip, but the contamination cause as well. Otherwise, you'll continue to have issues with your injectors, even after you replace them. Buildups of old fuel, carbon, and other debris can cause blocked or clogged fuel injectors. These clogs do not let any fuel through them, leading to a loss of power in your engine, and, if the block isn't taken care of right away, engine misfires. The clogs could also be caused by poorly functioning fuel filters. Professional cleaning might solve the issue, but it also might require complete injector replacement to fix. Again, make sure you also troubleshoot why your injectors clogged in the first place to help prevent the issues from immediately happening again. Fuel injectors can leak from quite a few place, including o-rings and seals, the top or bottom, or from the body due to excessive corrosion. In some cases, it is possible to repair the damage just by replacing the leaking o-rings or seals. A corroded or heavily damaged injector, though, will likely need to be replaced entirely. A leaking injector doesn't allow for proper fuel pressure to be maintained, which affects the injection and combustion processes. If left unaddressed, the leak can cause costly damage to other engine components, as fuel will be able to contaminate other areas of your engine. If you're experiencing any of these symptoms, it might be time for new fuel injectors. Be sure to take a look at all our fuel system components to find the right parts for your engine. If you're not sure what you need, we can help! Our certified techs can work with you to find the parts you need for your diesel engine. Give them a call at 844-215-3406, or request a quote online.